We love everything about this set! 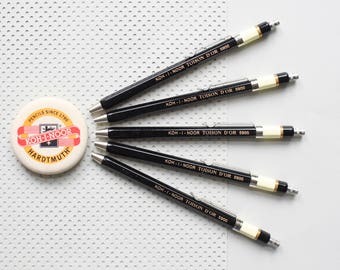 First of all the pencils have a timeless design with a vintage feel. Also set comes in a beautiful tin box to protect the leads. 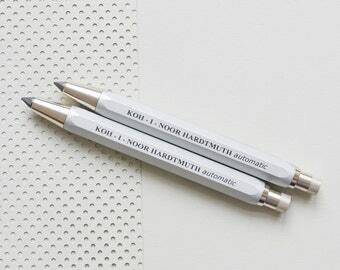 And Koh-i-noor even threw in an additional classic elephant eraser. This is how you do it. 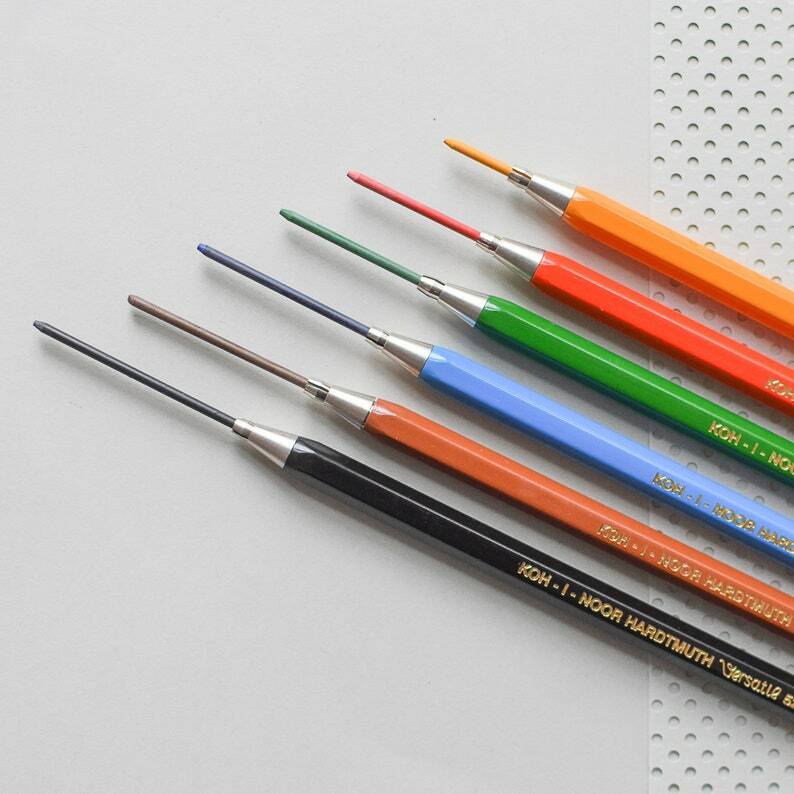 The high quality clutch pencils hold 2 mm (0.08") diameter colored leads and are made of plastic and chromed metal. 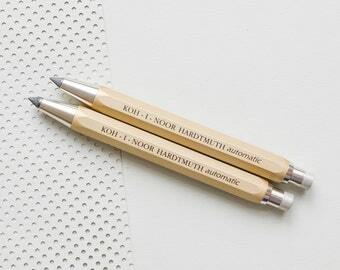 The pencil has pentagonal barrel and is very comfortable to hold. 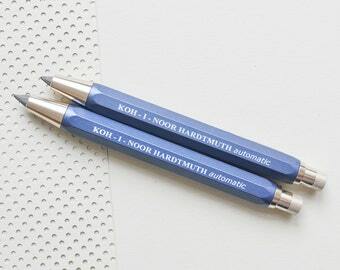 It has a drop-type clutch mechanism and is ideal for marking out or sketching. 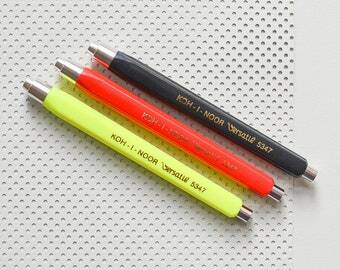 Each pencil comes with one colored lead. You can choose to buy 6 additional leads by choosing in the drop down menu. There are also extra multicolored leads and graphite leads available in the shop. 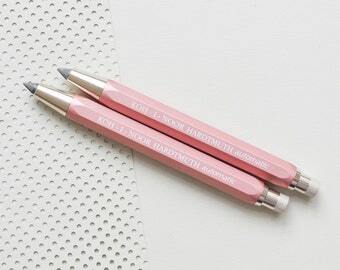 Length: 14 cm / 5.51"
Love these type of pencils, so happy to be able to get some colored pencils in this format. 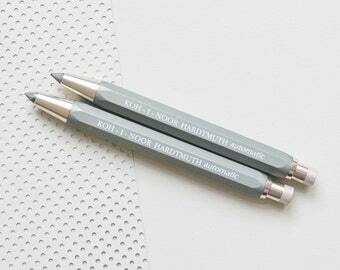 Nice little tin with clutch pens. 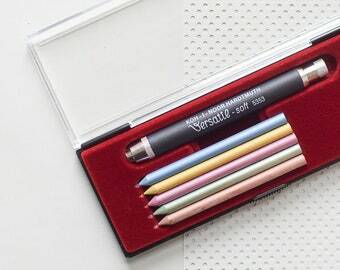 I love to doodle with these alot.